We do all sorts of machine engraving and create a wide variety of personal identification products. On this page we've got a number of other items that we regularly produce. If you don't find what you're looking for, just call or e-mail us: we'll be happy to guide you in any way we can! 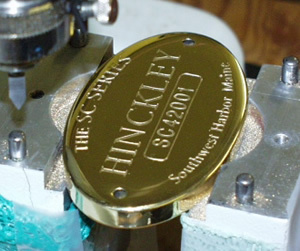 Here's just one of the several different hull plates we do for Hinckley Yachts right here in Maine. Well established as one of the world's finest boat builders, we're proud to engrave their die cut pieces. Shown below is the very first hull marking for their super SC Series Craft. If you've got a standard size mailbox and you'd like a 'top piece' to identify you, we can do that. You've seen them everywhere but didn't quite know where you could get the exact wording you wanted. Come to American Nameplate where we'll customize your license plate frame to YOUR specifications! Make your car the sharpest one around: give us a call! 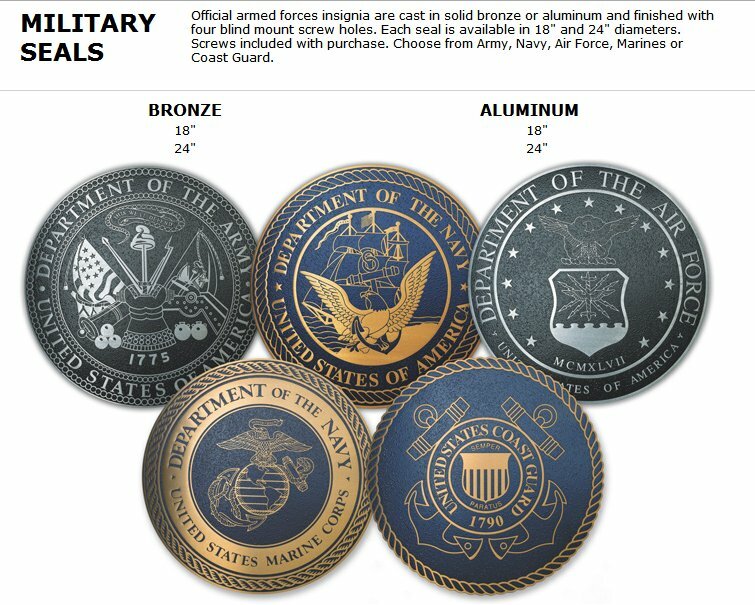 This product makes a GREAT fundraiser so check it out. Looking for a pocket pouch or a replacement pin/magnet for your nametag? Check our Attachments & Findings page.